We wanted to start off the day with some fun layouts...because layouts always inspire me to get going on my holiday crafty. Because I haven't found time to scrapbook my holiday photos yet...from LAST YEAR!! We hope that you enjoy these layouts featuring the Home for the Holidays Collection from two of our amazing Design Team members. We're challenging you again to SHARE, share, and share some more. We pick our winners from those of you that share. Love both layouts! Pinned both. pinned both love the layouts, so festive! So sweet, shared on FB. Pinned both as well. Great layouts! This is the cutest collection!!!! Love it!! Pinned that super cute triangle layout idea. Thanks! These are such sweet layouts!! I pinned and shared on Facebook! Thanks!! Fantastic layouts! Great way to use lots of pattern paper! Great layouts! Especially love that first one with all the triangles! Looove all the inspiration, I pinned both projects. 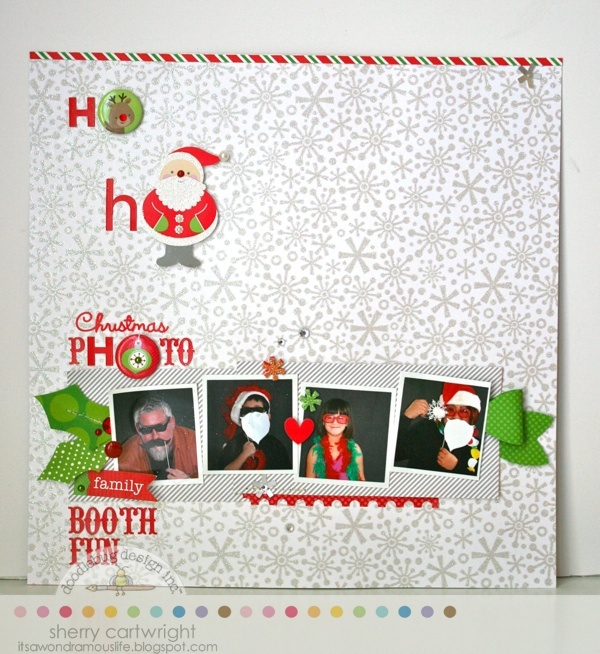 Adorable layouts, love the festive, fun look of this collection. Oh, for absolute cuteness!! Love these layouts and I LOVE the collection they are created with!!! 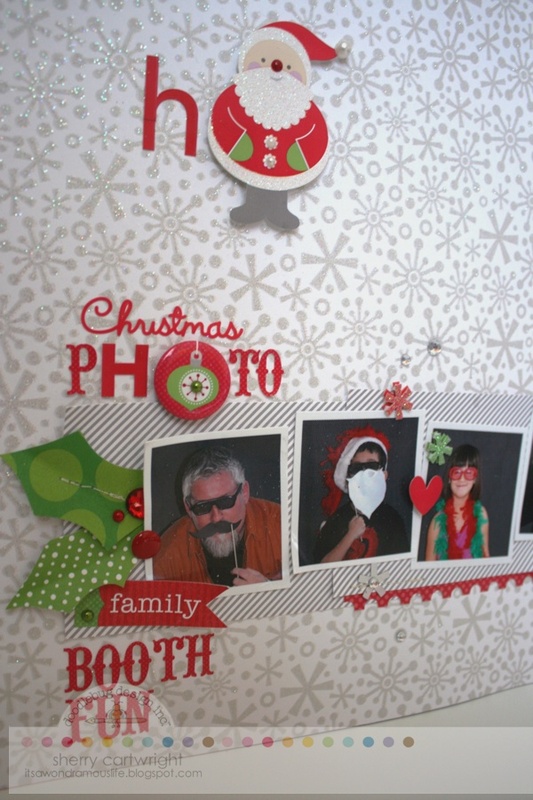 Fabulous photo booth layout! It's just my style! I love the triangles on Stephanie's LO and the clever way that Sherry used the circular embellishments for the "o"s! Both wonderful in so many ways! TFS! Stunning, I love it when the DT showcases layouts! Love them both! Pinning for them for inspiration! Those are really great! Pinned both! I shared the day to day collection, but love this one too. Of all the new Christmas paper collections coming out, this one has to be one of, if not the best. So cute, love this collection, love these projects! You have really out done yourselves this year. This collection is so darn cute! I can't wait to get my hands on it. 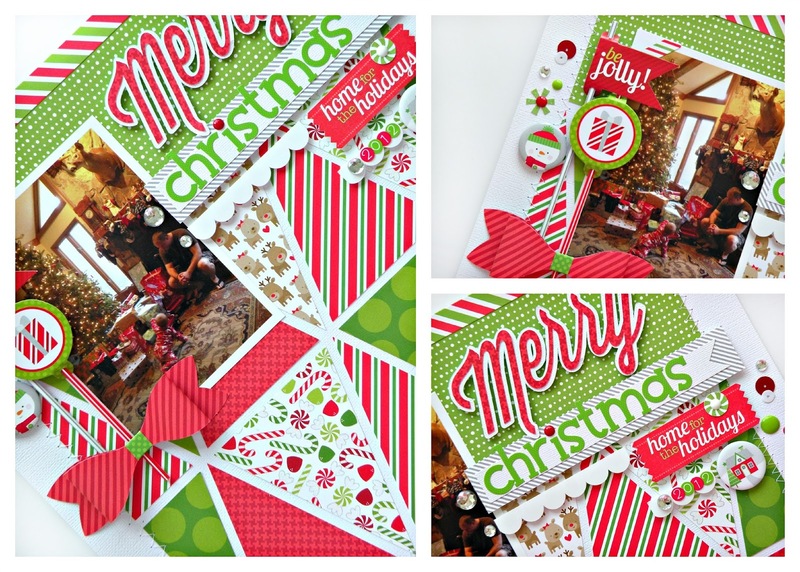 I pinned the Be Jolly layout because I love those triangles! Especially love the Photo Booth layout! Wow, what great examples using the new Home for the Holidays line! These are so fun and great inspiration!